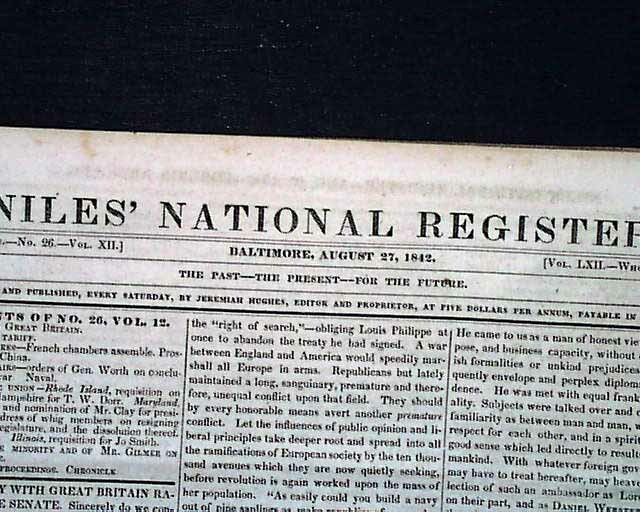 NILES' NATIONAL REGISTER, Baltimore, Aug. 27, 1842 An inside page has an article: "Illinois" with subhead: "The Mormons" which notes: "...for the persons of Joe Smith and O. P. Rockwell, states that the proper authorities have as yet been unable to comply with the demand. 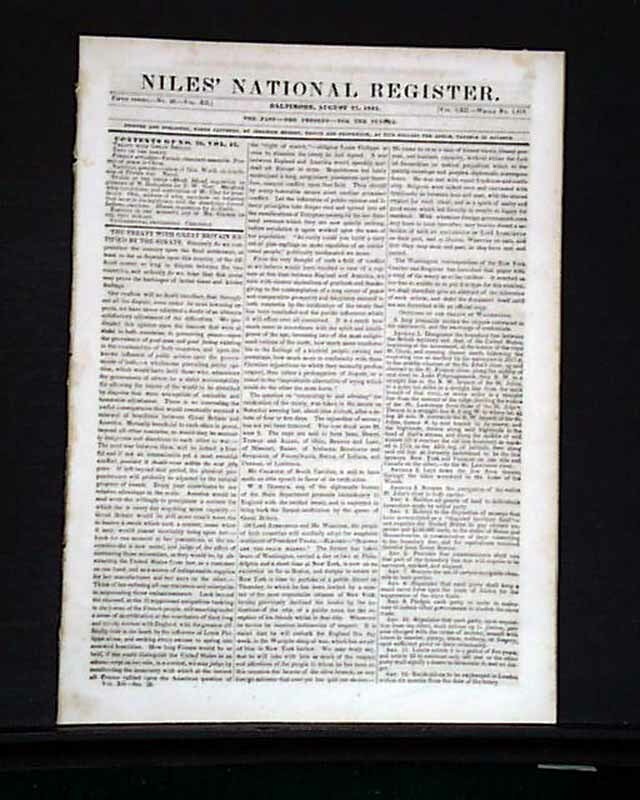 the proper writs were issued by Gov. 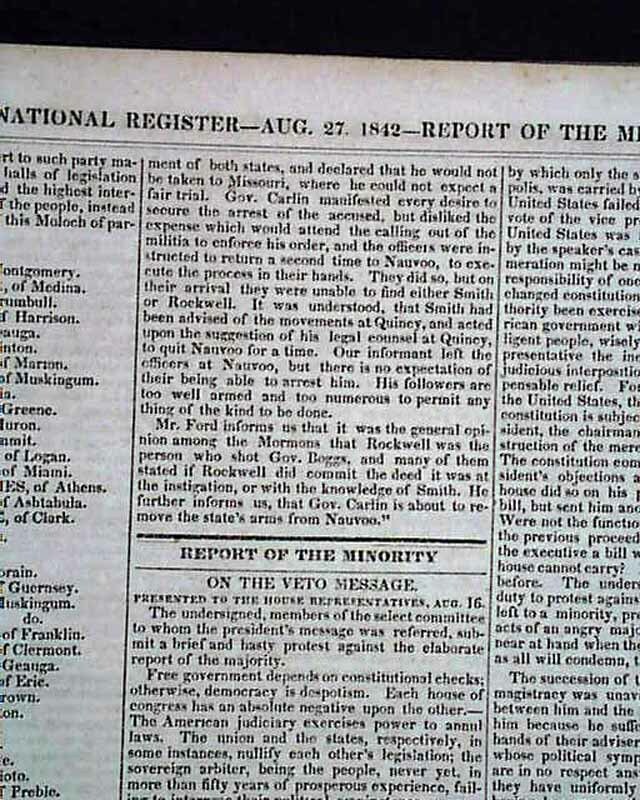 Carlin...They found Smith & Rockwell & served the writs upon them...They were in a carriage, reviewing a body of Mormon troops...They state that Smith openly defied the government of both states..." with more (see). 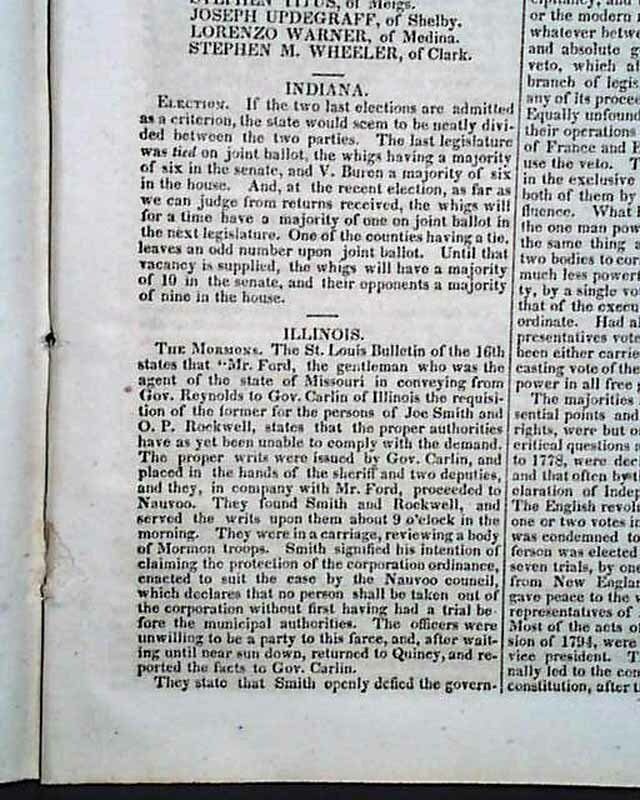 Other items within this issue include; "The Treaty With Great Britain Ratified by the Senate", much reporting from Congress, "Slave Trade" and other items. Sixteen pages, 8 3/4 by 12 inches, in very nice condition.